Topic: OEM Nissan Altima 2010 Alloy Wheel Set Of 4 Size 16"
Re: OEM Nissan Altima 2010 Alloy Wheel Set Of 4 Size 16"
Topic: WTB: Mitsubishi Lancer GT WHEELS! 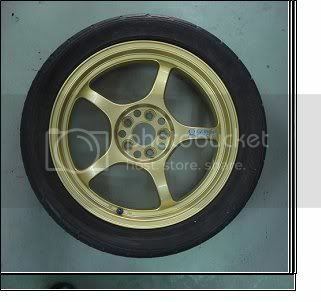 Re: WTB: Mitsubishi Lancer GT WHEELS! I'm looking to buy used Lancer GT Wheels, 18"s.
Topic: Any good ECU-tuners (Europese cars) here in Dubai ? Re: Any good ECU-tuners (Europese cars) here in Dubai ? Topic: Who does a good work of Camber/Tos Settings ? Re: Who does a good work of Camber/Tos Settings ? Nitz wrote: Hey, Are these still for sale? Topic: Buying Rims and Tyres in Sharjah? Re: Buying Rims and Tyres in Sharjah? Give him my reference " Adnan"
Nice , whats the engine ? Topic: Civic Type R EP3 17" Alloys TAKING INTEREST!! Re: Civic Type R EP3 17" Alloys TAKING INTEREST!! Topic: Where to find Custom Civic 2006 Bumpers ? Re: Where to find Custom Civic 2006 Bumpers ?